Description: disco girls dancing at nightclub celebrating new year coming. 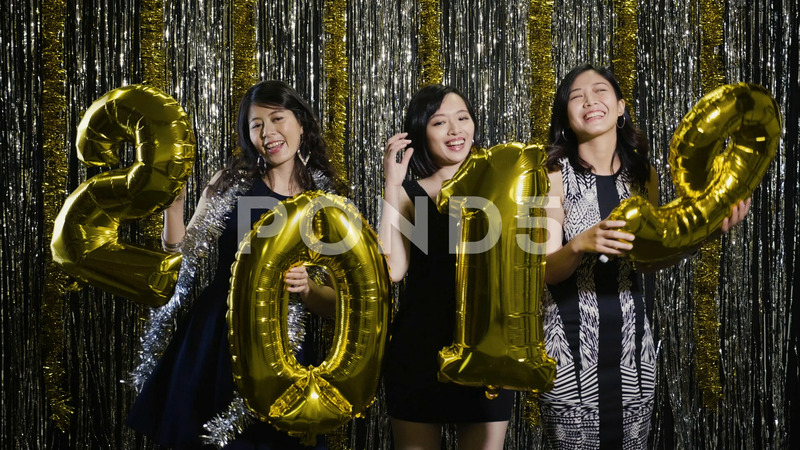 young ladies playing with gold 2019 balloons at club on countdown night. Group of friends having fun with music.